These earrings are by far my most popular. Probably because they have been around the longest. 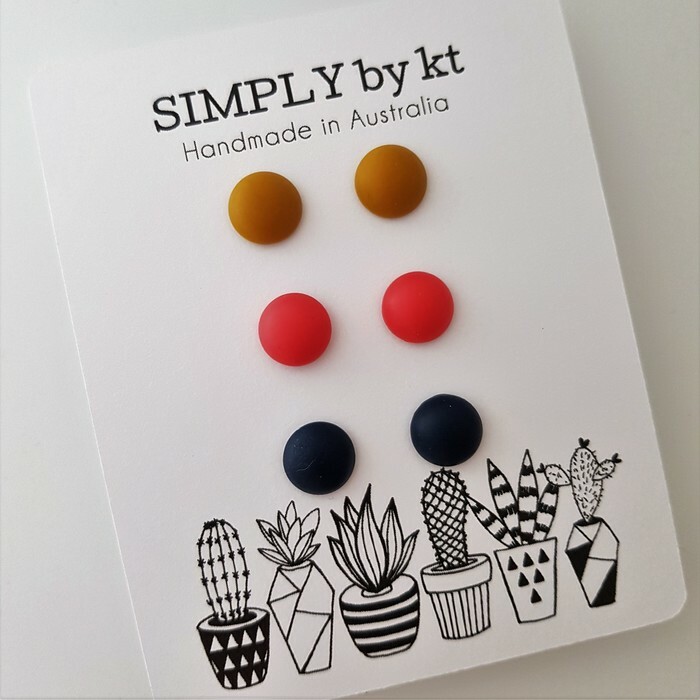 The good old faithful simple yet cute stud earring that can be worn any day of the week. 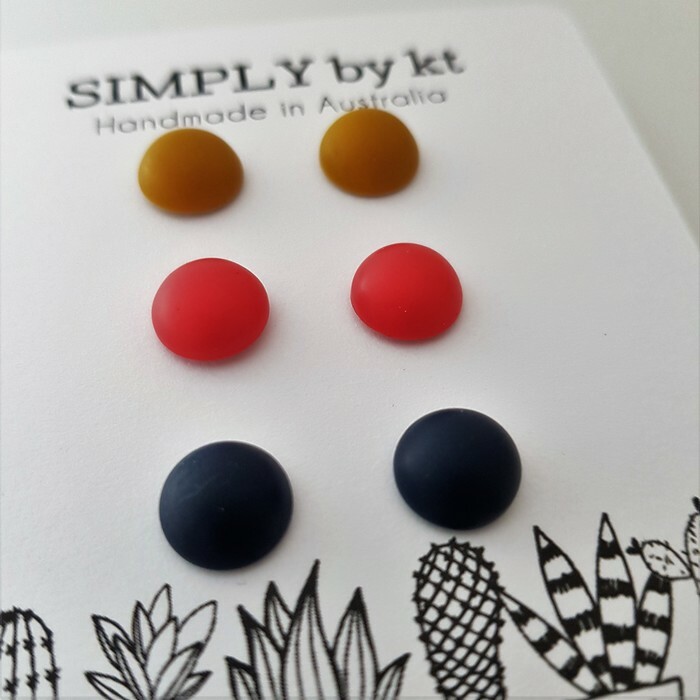 Each stud is handmade using polymer clay (my own handmade colour) and are approximately 10 mm in size. They come on a stud that is made from surgical steel. The best stuff for your ears especially if they are sensitive.